In the hopefully near future, you won’t need hulking contraptions to create holograms nor special glasses to see them. All you are going to need is your phone. This promise of science fiction made real comes from a group of researchers at the RMIT University in Melboune, Australia who have developed what they claim is the world’s thinnest hologram. 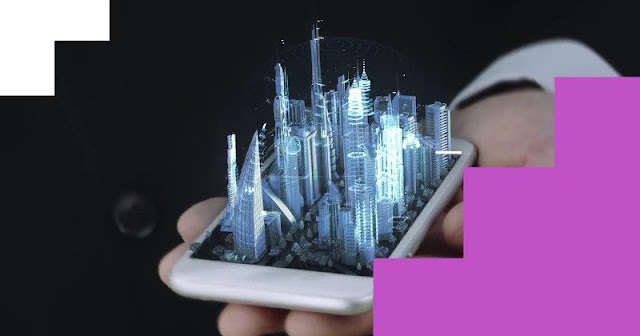 If and when they manage to solve the engineering and manufacturing challenges of turning the prototype into an actual hardware component, then the age of consumer holograms could soon be just around the corner. Intriguing and breathtaking holograms might be, turning them into consumer products, let alone portable ones, have always been hindered by the bulk of the equipment needed to create them. Holograms, specifically laser-based ones, rely on the phase of light, that is the distance light has to travel in order to recreate a 3D object on a 2D plane. In other words, you need a rather large distance for the light to travel for the hologram to work. Naturally, that would be impossible for our very thin smartphones or the other types of holographic displays envisioned by fiction. A holographic display needs to be paper thin or more in order to fit inside those crammed spaces. The RMIT researcher’s device? 60 nanometers thin, or 1,000 times thinner than a human hair. The team was able to develop such hologram by using what is called a topological insulator, a material that acts like a conductor near its surface but an insulator inside. The difference in the refractive indexes between these two parts of the material creates an optical cavity where light can bounce around inside a thin film as if they had a more spacious area like in traditional holograms. The hologram is advertised to be easy to make and scalable, using only a familiar direct laser writing 3D printing method. However, the researchers still have to figure out a way to turn it into a more rigid form that can be put into, say, smartphones. If they do manage to pull it off, running out of screen space on phones will no longer be a problem, as you can just use a hologram to “project” images and controls above and beyond the screen.